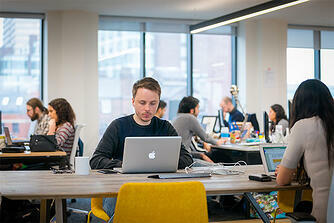 Creating a co-working space for digital start-up businesses in Leeds. 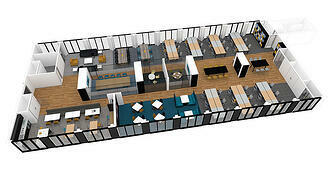 The Tech Incubator was designed to provide a dedicated space for digital businesses in the city. 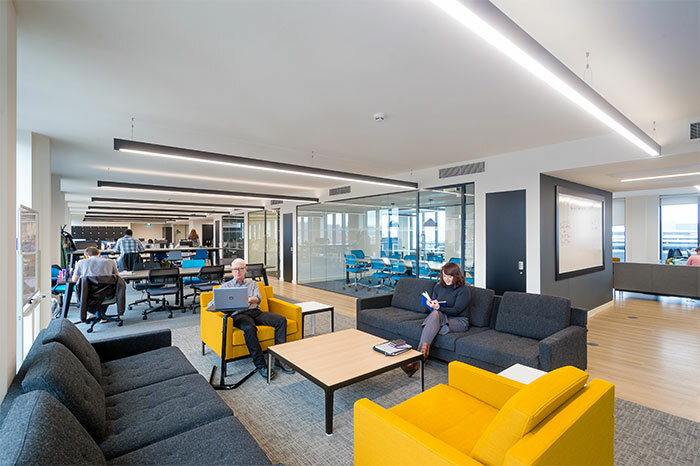 Delivered in partnership with Leeds City Council, the hub offers a focal point for the regions’ digital talent and provides a base for early-stage businesses as well as more evolved ventures looking to expand. 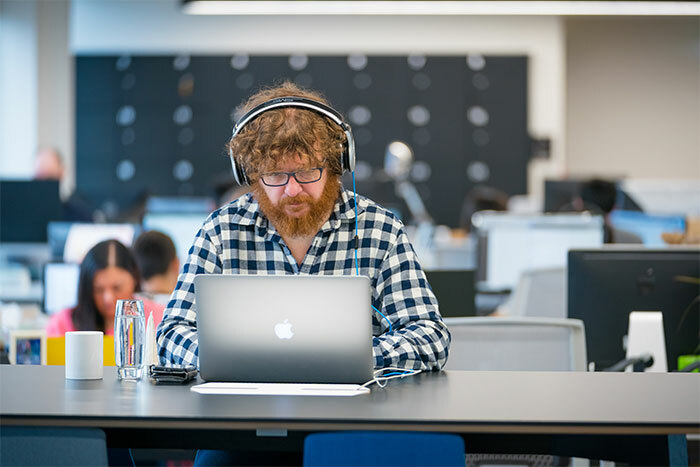 The community of digital entrepreneurs are able to access a truly supportive environment with high-quality business growth support and an extensive network of funding partners. Key to Bruntwood’s vision becoming a reality was early engagement with the IE design team, who used the Steelcase design principles for encouraging innovation and its insights on start-up enterprise culture to open up the dialogue and quickly align the spatial requirements with the business needs. 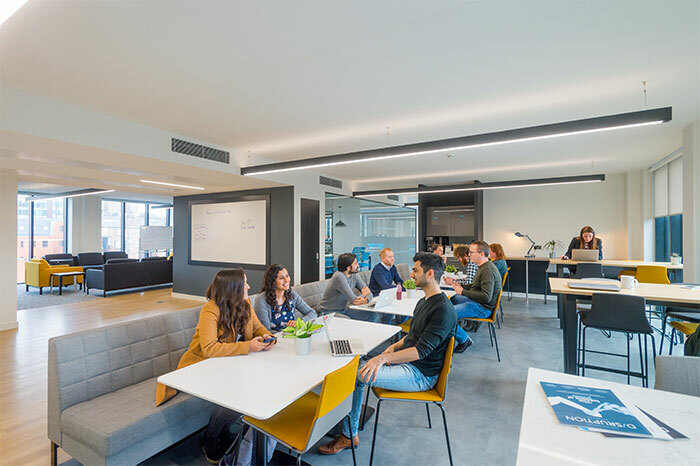 IE quickly established the design principles required to deliver a vibrant community focused work space capable of easy adaptation of some key areas to address a variety of uses and activities. 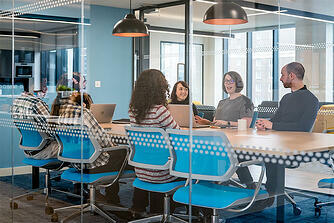 IE provided concept designs that accommodated fluctuating headcount figures and a mix of fixed and agile working settings. 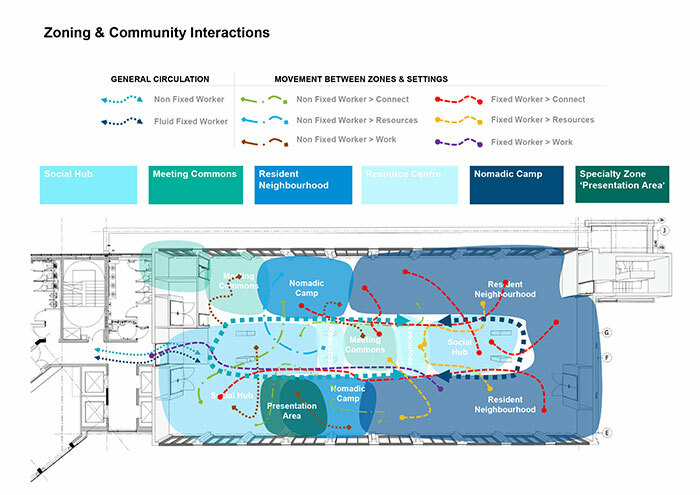 The design focused on the zoning of the space to align the types of behaviours and movement between zones, while also offering future flexibility. During a short design development process, the plans and furniture specification were quickly agreed and delivered on budget and on time.